The story behind one of the greatest science-fiction shows of all time is also the story of Rod Serling. Rod was born into a Jewish family in Syracuse, New York. His father worked as a secretary and amateur inventor, but after having children he took a job as a grocer to earn steady income for his family of three children. Sam Serling later became a butcher before the Great Depression forced the store to close. Rod Serling had a passion for fictional stories, when the family would take car rides he would talk non-stop the entire time. He was also the editor of his high school newspaper where he would encourage his fellow students to support the war effort. He had a passion for war and politics as well. The morning after his high school graduation Rod enlisted. He began his military career in 1943 at Camp Toccoa, George and served in the 511th Parachute Infantry Regiment of the 11th Airborne Division. He was also a boxer, he participated in the sport to vent aggression, and competed as a flyweight, and had 17 bouts, rising to the second round of the division finals before being knocked out. In the summer of 1946 he volunteered at WNYC in New York as an actor and writer. The next year, he became a paid intern in his Antioch work study program. He would have odd jobs in other radio stations. “I learned ‘time’, writing for a medium that is measured in seconds.” Serling said of his early experiences. Serling moved from radio to television, as a writer for WKRC-TV in Cincinnati. He wrote mostly testimonial ads for dubious medical remedies or scripts for a comedy duo. He spent most of his time writing, he received forty rejection slips from publishers. His radio scripts started receiving more rejections so he reformatted them for television. Whenever a script was rejected by one program, he would resubmit it to another. CBS purchased a teleplay in 1958 that Serling hoped to produce as the pilot of a weekly anthology series. “The Time Element” marked Serling’s first entry into the field of science fiction. However, “The Time Element” was purchased only to be shelved indefinitely. 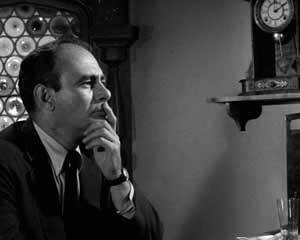 Later on Bert Granet, the new producer for “Westinghouse Desilu Playhouse,” discovered “The Time Element” in CBS’ vaults while searching for an original Serling script to add prestige to his show. “Where Is Everybody?” was accepted as the pilot episode. “The Twilight Zone” was officially announced in early 1959. “The Time Element” was not aired on television again until 1996 on TVLand. It is available on the “Twilight Zone Season 1” blu-ray boxed set. 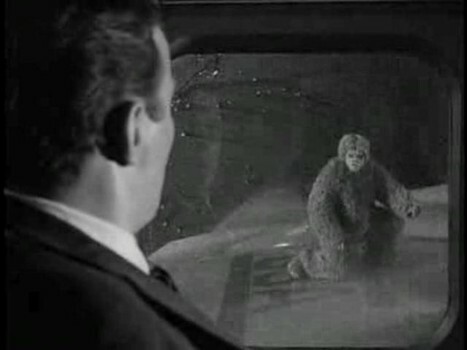 The series was produced by Cayuga Productions, Inc. a production company owned and named by Serling. Serling wrote or adapted nearly two-thirds of the series’ total episodes. Serling found the series difficult to sell. Few critics felt that science fiction could transcend empty escapism and enter the realm of adult drama. 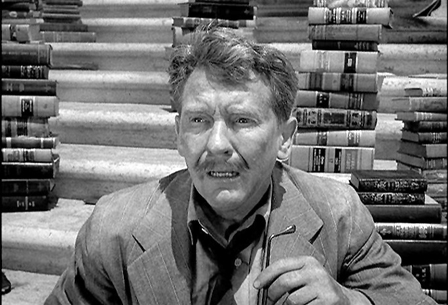 “The Twilight Zone” continued for 156 episodes and 5 seasons. Each episode was half-an-hour, with the exception of season 4 which consisted of one hour episodes. 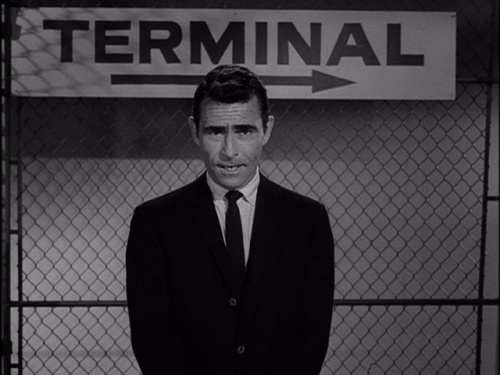 Later on, Serling sold his share of the series back to the network so that they could create a revival. The first “Twilight Zone” revival was canceled after one season. A third revival is currently in discussion. “The Twilight Zone” has been re-imagined in board games, video games, literature, comic books, stage productions, and theme park attractions. “Twilight Zone: The Movie” was released in 1983 to decidedly mixed reviews. The movie is infamous for a helicopter accident on set which caused the deaths of actor Vic Morrow and two child actors. Actor Leonardo DiCaprio is currently planning to make a new movie with Warner Bros., director Joseph Kosinski is currently signed on. “The Twilight Zone” could be out of this world, but at the time it may have been the most human show on television. Rod Serling relentlessly climbed his way to the top, persevering through several rejection letters and financial constrictions. In result we have a television show that, like Serling himself, is one-of-a-kind.